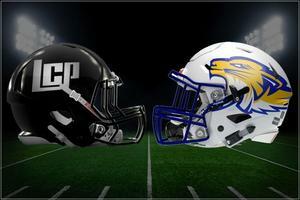 Are you planning to attend the Frenship football game at Lubbock Cooper this Friday? Here are the things you need to know as you prepare for this week’s big matchup. All Tiger fans are encouraged to “Back the Blue” and wear blue. The FHS student section is also planning to wear camouflage. Hear the game on 97.3 FM, www.doublet973.com, or on the DoubleT973 mobile app. In order to maintain a safe, monitored environment for students, fans, and guests of our district, Lubbock-Cooper ISD is implementing a clear bag policy for all UIL-sanctioned athletic events hosted by Lubbock-Cooper schools. This policy will go into effect with the start of the 2018-19 fall athletic season. -There is no limit to the number of clear bags an attendee may bring into the venue. -purses/clutch bags, briefcases, backpacks, fanny packs, cinch bags, luggage of any kind, computer bags, binocular cases, and camera bags. Binoculars and cameras worn around the neck or carried in the hands without the case are permitted. Blankets and seat cushions/seatbacks carried in the hands or over the shoulder are permitted.